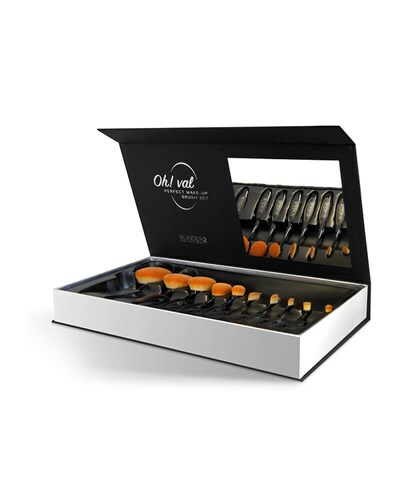 Description Our new OH!VAL Brush Set will change your life for the better when applying makeup! Containing a total of 10 brushes, each has been designed for the face, brows, eyes and lips and is perfectly compatible with every type of beauty product. With a beautiful soft feel and an oval shape design for easy application, each brush works to achieve a flawless blend and finish.